Tuesday 22nd:Clear weather with days around 31c at Mohali for the New Zealand /Pakistan Cricket match. New Delhi will be hot for the afternoon match between England and Afghanistan. The match at Banglore between India and Bangladesh will see hot day (35/36c) and partly cloudy weather. Thundery developments possible around. Hottest Place in India shot up to 43c at Nandigama (Coastal A.P.) on Monday..
Sunday, Mumbai Scruz was 36.9c (+4.5c) and Monday it was 35.8c (+3.4c )...Thats good enough, as the hottest day in March ever for Scruz was way back in 1956, when on 28th March it touched 41.7c...That was very hot !! Colaba dropped from 34c (+3c)on Sunday to 31.8c on Monday. Tuesday and Wednesday will see clear weather, with winds varying between N and NW (periphery of a High Pressure)...thus keeping the mercury hot in the day around 35/36c. Nights will be better off around 22/23c at Scruz. Almost 13c variations between day and night. Moderate rain expected in Abu Dhabi on Tuesday and Wednesday. Gusty winds around 32-35 kmph...around 3-5 mms /day. Oman will get moderate showers on Tuesday, with heavier spells in South Oman and Muscat on Wednesday. Except in Kerala and North_East Region, weather will be dry in India on Tuesday and Wednesday... M-4 , another Western Disturbance, moves into the Western regions of Pakistan and Pak Punjab on 24th, with possible scattered rain in Upper Sindh. The system gains strength on 25th in Central, North Pakistan and Kashmir. Plains of north India get the effect of M-4 from 25th Night...Another detailed update in a few days. Strong westerly winds likely in Karachi on Tuesday, and cloudy on Thursday. New Delhi may start heating up to above 35c on Wednesday and cross 35c on Thursday. Anantapur max temp 42.5c today !! With this breaks it's all time record for March..
Bhubaneshwar max temp 42.2c today !! With this breaks it's all time record for March..
Vijayawada max temp 42.4c today hottest at least in last 10 yrs !! I have a question why does the coastal areas of andhra get so hot like above 40 degrees more often comparitively coastal areas of maharashtra are cooler most of the times. AP (SE India) has been consistently experiences extreme temp since last 5 years. As far as I remember since last 4-5 years rains are failing over AP. Hyderabad is having worst water problems (once in 10 days tap water (fresh) comes - rest people depend on bore wells which are becoming defunct). My relatives are moving away from Hyderabad (transfer to Mumbai). Mumbai is much - much better this is first time in last 30years Mumbai is experiencing water shortage (still tap fresh water comes everyday instead of twice a day). Don't we see better climate over RAJ/GUJ in same period - with good WD ? 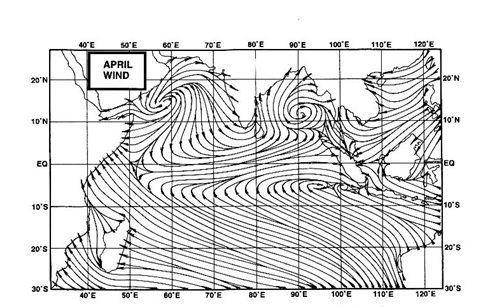 vinod desai: It all depends on the winds..the east coast winds are not constantly easterlis. The easterlies could bring the sea breeze to cool the coast. The winds along east coast are currently brushing S/SW along the coast. This heats up the eastern shores. West generally gets a regular west wind. Thankyou sir for the explanation.